Purchase the quantity of tickets that YOU NEED! There is no ticket minimum or maximum number of seats per household at DerbyBox; purchase any quantity including odd numbers Buy 2, 4, 6, 8, 12, 24, 36! We can handle small or large groups! DerbyBox.com representatives are in the Louisville area and will deliver your Kentucky Derby tickets to you if there isn't enough time to ship them. Yet another way DerbyBox goes the extra mile and a quarter for our customers! Kentucky Derby tickets - Available now from DerbyBox.com! 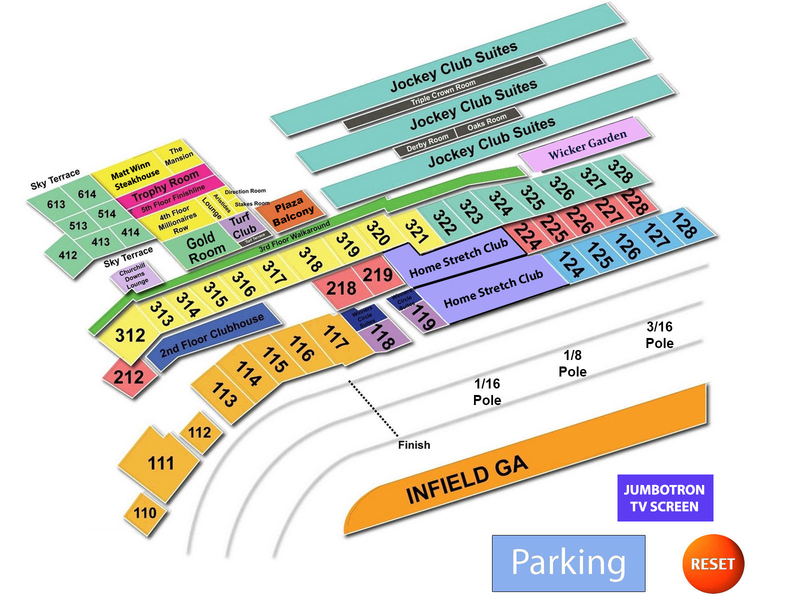 Please view our seating charts and various seat locations and Kentucky Derby tickets decide what is the best combination of price and location for you. Place you secure order online now to ensure that you get the best prices. We have been providing our clients with Kentucky Derby tickets and other events since 1990. We are licensed ticket brokers and have built an excellent reputation in providing our customers with excellent tickets and service. See our Testimonials for what our customers have to say about us.